Every product has its own service life, overhead insulated cable also has. 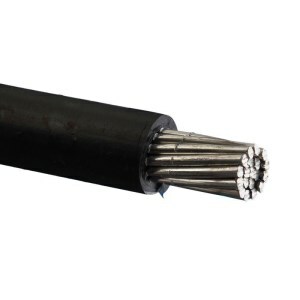 The service life depend on the quality and installing environment of aerial insulated cable. The main part to protect overhead insulated cable is the outside insulation layer. With time goes by, the insulation was corroded by the corrosive gases, and the insulated performance will be reduced. Then it will be aging, brittle and falling off. If the aerial insulated cable lose the insulated performance, it will be very dangerous. It also may curse the fire. So we should pay attention to the daily maintenance of overhead insulated cable. Huadong Cable can give the right way to maintain the cable, please contact us. We should protect the aerial insulation cable from moisture, heated, corroded and bump. In the process of the storage and installation of overhead insulated cable, the worker need to be careful. If the environments of installation and using are easy to be dump or bad weather, you should do the protections in advance. so you must consider all the situations that may occur before installing the aerial insulated cable . Then you will save more money and energy. For example, some lines is easy to get wet and damp, you can change the line or adopt the moisture-proof measures. In the storage, huadong has the strict rules, so we can promise the quality. Send the inquiry, you can get the storage pictures. In the using of overhead insulated cable, you must adhere to the using demand of aerial insulated cable, and remember to check it regularly. Firstly, do not overload the cable, before you purchase the overhead insulated cable, you have known your demand voltage and the rated voltage. So when you install and use the aerial insulated cable, you should be careful. For example, in the rainy day, if it occur power cut, you should cut the power supply and check the reason. If you want to get the the overhead insulated cable with long service life, expect from the protection, the most important is to purchase the high-quality aerial cable firstly. I think huadong cable will be your good choice. Send the inquiry, we will quote for you within 24 hours.